Our mystery seeds from last week must have stumped everyone. They were from a catclaw acacia tree, Acacia greggii. 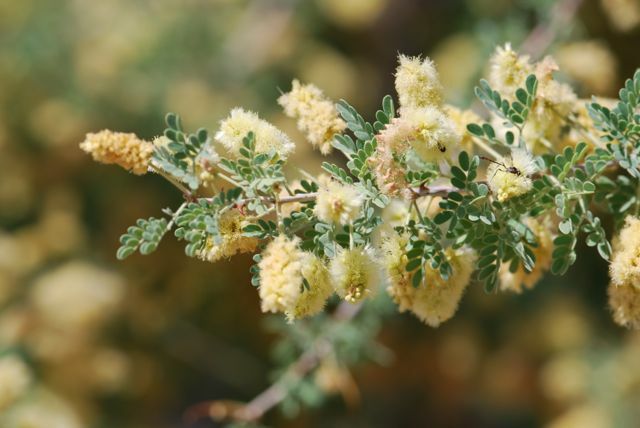 Catclaw acacias are named for their hefty curved thorns that resemble a "cat's claws." 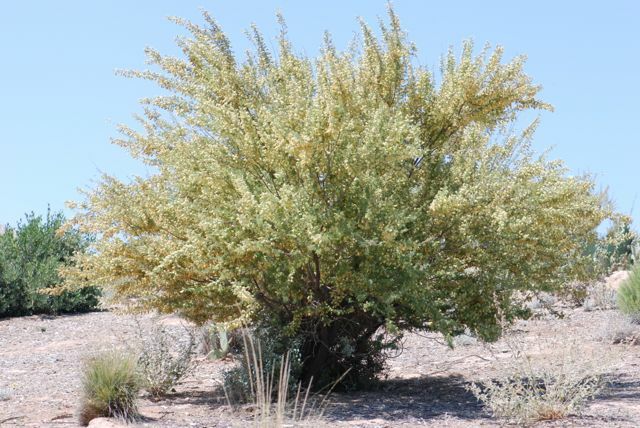 As with many southwestern "trees," catclaw acacias are somewhat shrubby. They become more tree-like over time, however, and live well over 100 years. Right now they are in full bloom in Arizona. We encountered these trees while hiking and you could smell them quite a ways away. The flowers have a very strong odor. Many insects were visiting the flowers. Do you see any in the photograph above? 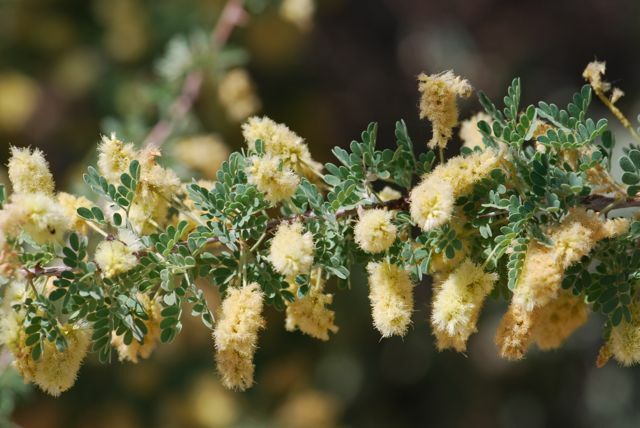 Have you ever smelled a catclaw acacia in full bloom? What do you think it smells like? 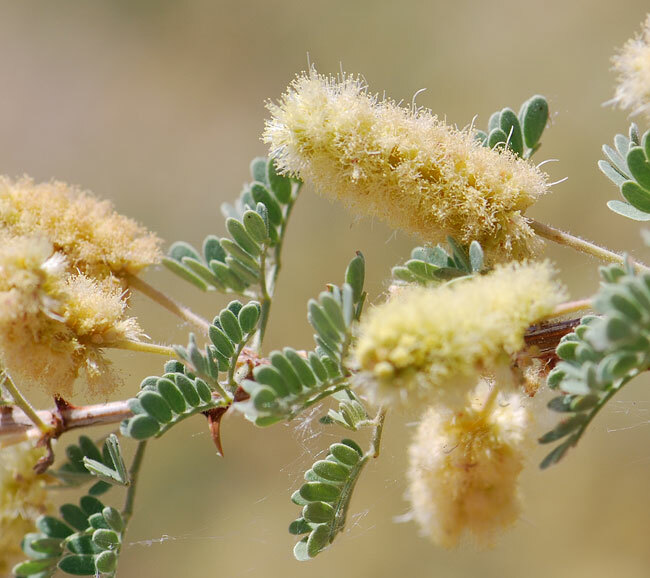 I should have left a guess last week since was going to say acacia. I love seeing all the insects n their flowers.